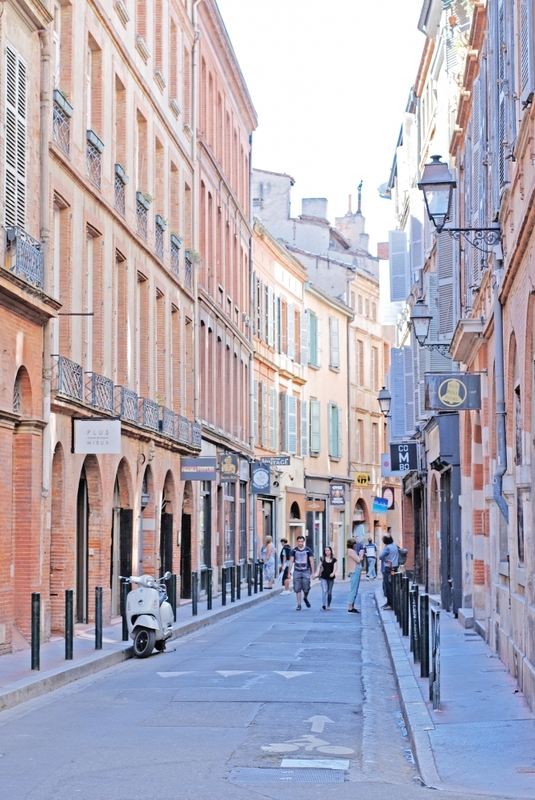 Toulouse is known as the Pink City, la ville rose, taking its name from the bricks in its buildings, which glow pink as the sun sets on a summer’s day. Brick has been the main building material here since Roman times. Sited on the valley floor of the Garonne estuary, Toulouse has no stone, but plenty of clay, and as this contains less iron oxide than the clay in northern France, the bricks are closer in colour to pink than red. 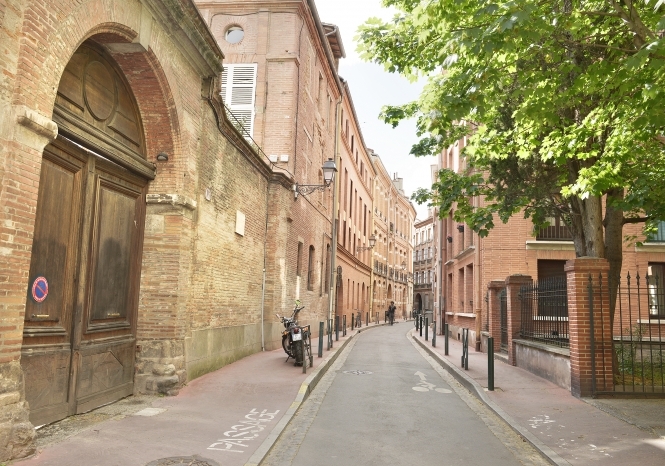 There is a sense of uniformity in the architecture of central Toulouse: elegant streets with three or four-storey buildings in brick with iron work and balconies and built on a street plan which has changed little in 2,000 years, since the Romans.